Last month Abi topped the GoodGym leaderboard for the amount of coach runs, group runs and missions done in a month, with 24 good deeds completed in February. Here she talks to GoodGym about the science behind why she believes running and doing good for the community is beneficial for everyone. The first time I ever became aware of GoodGym was after a long day fighting with malaria parasites in the lab; I saw a group of people in red T-shirts energetically sidestepping and lunging just outside the back door as I left work one Wednesday evening last May. Sure enough they were there as I left the lab the following Wednesday, and a couple of hours later I spied the red-shirted rabble in the pub. They seemed to be having a good time! Intrigued, I investigated what GoodGym was all about and tentatively signed up for the next group run. I needn’t have been nervous about this; becoming part of GoodGym is possibly the best thing I have ever done for my own health and happiness. Maybe I’m too much of a scientist, but I’ve done a short analysis on why I think GoodGym has been so good for me, and done a bit of research to back up my hypotheses. Exercise has long been an important part of my life, lifting my mood, helping me to sleep better and become stronger. I don’t find running easy but its benefits are undeniable and well documented; runners really do live healthier, happier lives . Encouraged by GoodGym I have been running much more frequently and feel fitter as a result. Weaknesses in my hips and knees have been less troublesome, and completing my first half marathon in October - something I never thought possible a year ago - was a massive confidence boost! One of the simplest ways to feel good about yourself is to do something for someone else, and the roots of this are thought to stem from way back in our evolutionary history; helping one another was key to the survival of early humans. Good deeds trigger activity in the area of the brain associated with feelings of “reward”, in much the same way as a delicious slice of cake. Perhaps as a result, volunteers report feelings of satisfaction, optimism and empowerment. 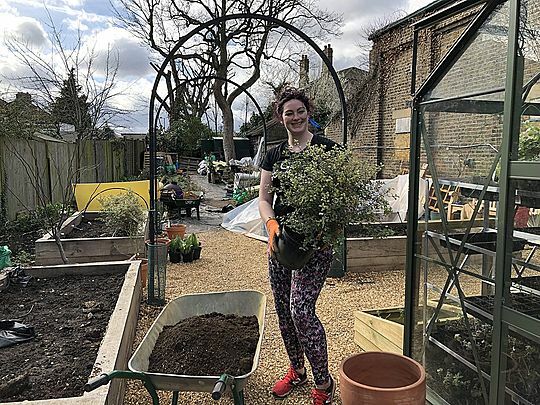 I can certainly attest to this; it filled me with a genuine sense of pride to hear that friends had been enjoying the woodland paths I’d helped build with GoodGym, and knowing that our work on missions has helped isolated older people feel safer or more supported is incredibly positive. 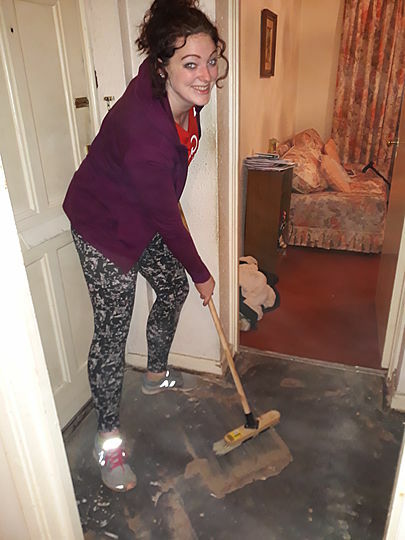 Photo from a mission where we were turning a mattress and taking up some loose carpets. When I moved to London three years ago, I missed my university teammates more than anything else. They were always (and still are!) a source of great support, inspiration and meaningful friendships. People in sports teams motivate and encourage one another, allowing members to unlock better performance, higher self-esteem and a sense of belonging. 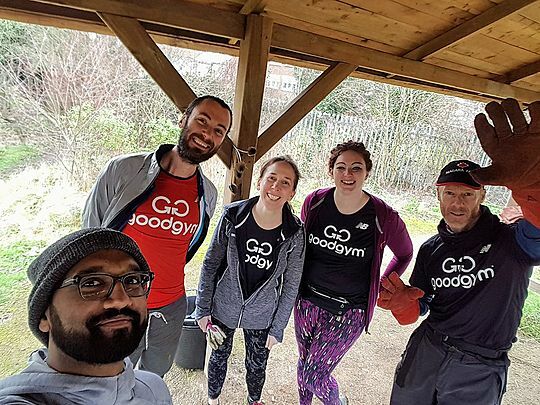 GoodGym is no exception, and has the added bonus of being an inclusive group involving people from a wide range of ages and backgrounds, a key ingredient for a strong and vibrant community. In my nine short months as a GoodGym member I’ve met so many fascinating people, completed many enjoyable tasks with these new friends, and now feel part of something really special.